Senator Isakson answers a question about border security. 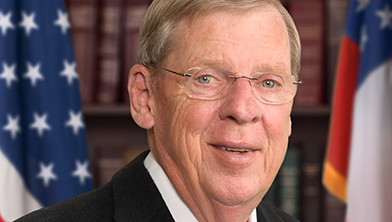 Senator Isakson discusses Autism Awareness Month with callers. Senator Isakson takes a question on how to protect Social Security and Medicare benefits in wake of the new tax bill. United States Senator Johnny Isakson hosted this Access Live event to discuss important issues with constituents in the state of Georgia. Issues addressed included Tax Day 2018, Syria, and Social Security benefits.